سعيد، عن فضالة بن أيوب، عن أبان بن عثمان، عن محمد بن مسلم، قال: سمعت أبا عبدالله عليه السلام يقول: إن لله عزوجل خلقا خلقهم من نوره، ورحمة من رحمته لرحمته، فهم عين الله الناظرة، واذنه السامعة، ولسانه الناطق في خلقه باذنه، وامناؤه على ماأنزل من عذر أونذر أوحجة، فبهم يمحو الله السيئات، وبهم يدفع الضيم، وبهم ينزل الرحمة، وبهم يحيي ميتا ويميت حيا، وبهم يبتلي خلقه، وبهم يقضي في خلقه قضية. I heard Aba `Abdillah (as) say: Indeed Allah, Mighty and Majestic, created certain creatures from His light, and a mercy from His mercy for the sake of His Mercy. For these are the eye of Allah that sees, and His ear that hears, and His tongue that speaks to His creation by His permission, and the safeguards over what has descended from (His) justifications and warnings and proofs. And through them He wards off grievances, and through them He sends down mercy, and through them He enlivens the dead, and causes to die the living. And through them He afflicts His creation (with tribulations), and through them He judges cases among His creation. I asked: May I be your ransom – Who are these? He (as) replied: Al-Awsiyaa (the vicegerents). Grading: Sh. 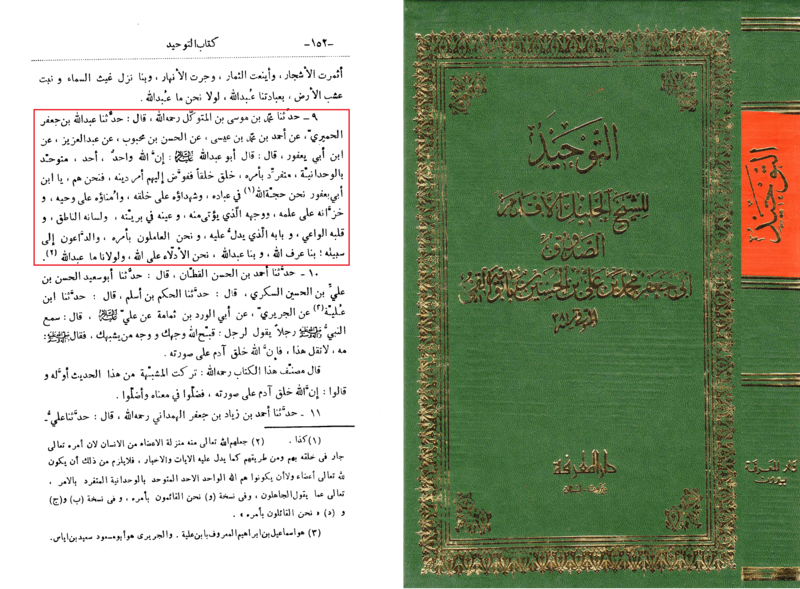 al-Mohsini has graded this hadith reliable [Mashra`at Bihar al-Anwar, Volume 1, Page 479] (See Second Image below). 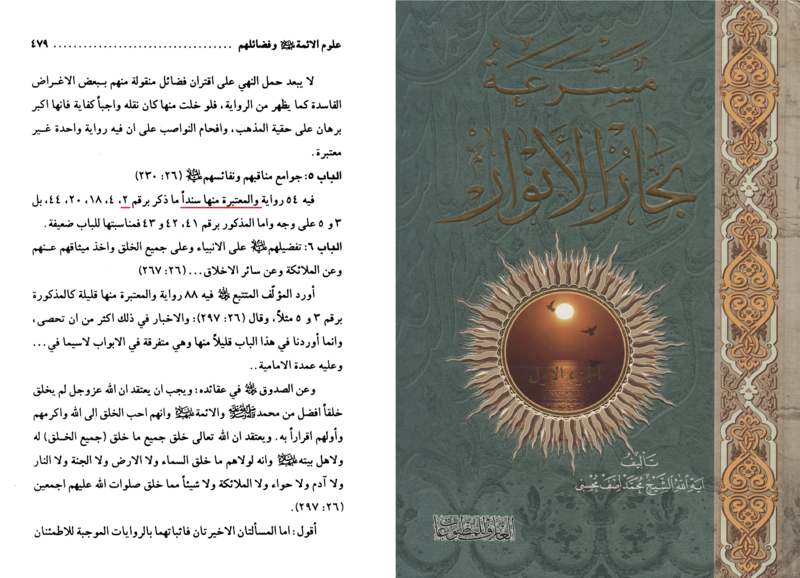 See Slave of Ahlubait blog for gradings of each narrator of this hadith here.